"You may say I'm a dreamer, but I'm not the only one ..."
Yes, I'm a dreamer. I like to dream big. Disney taught me that it's OK to dream big. My big dreams are helping me to kick some pretty awesome goals right now. That's why I'm super excited to be teaming with Disney again for the release of their movie "Tomorrowland" on Digital, DVD and Blu-Ray. "Tomorrowland" is a film which takes you on a journey of wonder and epic adventure, to a place where if you can dream it, you can do it. Directed by two-time Oscar winner Brad Bird (Ratatouille and The Incredibles) this riveting mystery encourages everyone to imagine a place where anything is possible. If you know me AT ALL you know that one of my catch-phrases (and the theme of Cheer Chick Charlie: The Journey Begins) is "what may not seem possible today, could be possible tomorrow". Especially with George Clooney at the helm. I haven't seen the movie yet, but according to the Press Release (and my daughter) it's awesome! George plays a former boy-genius who teams with a bright optimistic teen girl who is bursting with scientific curiosity to embark on a danger-filled mission to unearth the secrets of Tomorrowland. 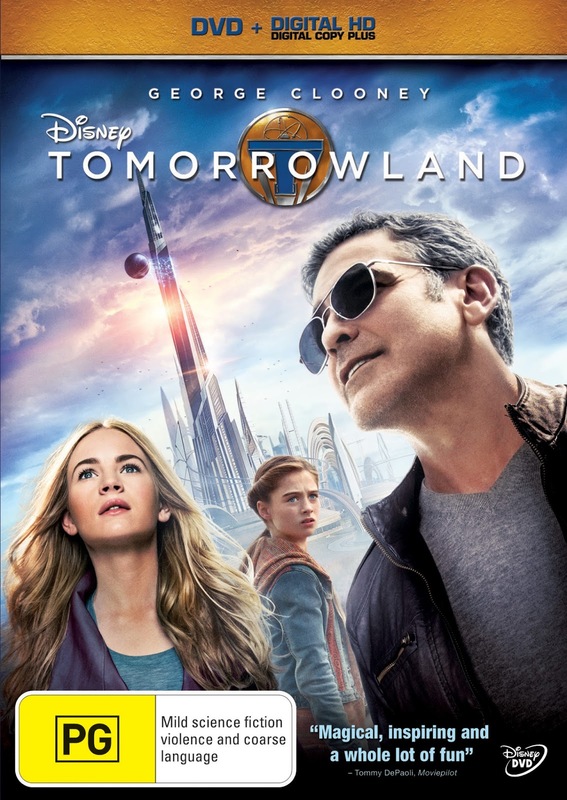 As the story unfolds the two find themselves on a thrilling adventure in a city filled with futuristic robots, cars and skyscrapers, with their actions in Tomorrowland set to change the world forever. According to the press release, Britt Robertson (who plays Casey Newton) and George Clooney (who plays Frank Walker) will spark your imagination and lead you to wonder what the future holds. 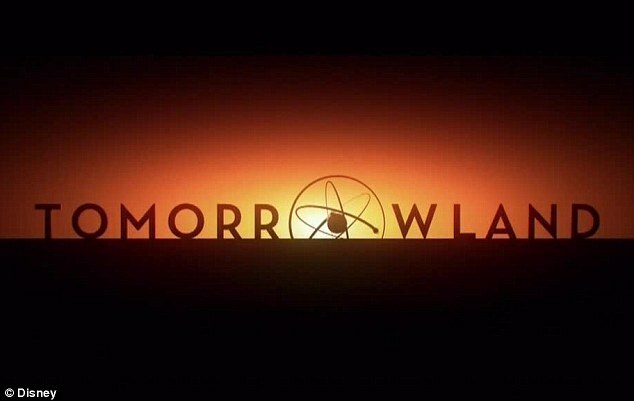 "Tomorrowland" is released on digital on 23 September and DVD and Blu-ray on 30 September. In traditional Disney and Deep Fried "if you dream it, you can do it" style, we are giving away FIVE "Tomorrowland" prize packs that include a copy of the DVD or Blu-ray AND a "Tomorrowland" notebook (perfect for a back-to-school treat after these school holidays). All you've got to do is tell me, what are you dreaming of right now? Winners will be announced on Monday 28 September. I'm dreaming of warmer weather too! Yep, I hear that. YOU WON!!!!! I am hoping you see this comment as your profile doesn't give me any contact details. Please email me at leanne at leanne shea langdown dot com (all one word) to give me your full name and postal address so I can forward to Disney. Cheers! PS If I haven't heard from you by Wednesday night 30 September I will need to do a redraw. I am dreaming of school holidays fun ( sleep till late, no lunches to pack ,stay up till late at night ) , fun at beach & lots of fresh fruits to eat. I'm dreaming of a time when I do not have tradies tramping through my house. They are fixing up a prior botched up job. Quelle horreur!! Dreaming of living my dreams not living my fears. I know you said if you could dream it you could do it... but I'm dreaming of sleep. And that dreaming doesn't happen without sleep... thank you lovely snuggly new baby!! :-) Still...sleep! I'm dreaming of what hubby has planned for my Birthday tomorrow. The suspense is killing me! I'm dreaming of having a break, 3 nights away soon with no children! I was dreaming of cuddling up with hubby while Miss Nine was away at camp. But the dog decided to try and sleep in between us and wake us up just as soon as the birds started chirping. All too soon, Miss Nine was back from camp and our opportunity was missed! I'm such a dreamer too! Ever since I was young. The super-big-thinker me dreams of connecting the developed world with the developing and bridging the awful gap between the rich luxury we have and the poverty endured all around the world. The every day me dreams of the smalls things everyday, like smiles from loved ones, random acts of kindness and gorgeous wildlife. Great Awesome blog. Its so informative and I love it this type of blog and articles. Thank you.